The U.S. Patent and Trademark Office on Tuesday assigned Apple a patent covering passive audio call screening via an off-site voicemail service, a feature that can theoretically be applied to cellphone platforms like the iPhone. Likely an assignment from the Rockstar consortium purchase of a Nortel patent cache, Apple's U.S. Patent No. 8,666,034 for "Audio call screening for hosted voicemail systems" could potentially bring a staple landline technology to cellphones. In 2011 Rockstar, a consortium of tech companies including Apple, EMC, Ericsson, Microsoft, Research in Motion and Sony, successfully bid $4.5 billion for a collection of more than 6,000 Nortel patents. It was later learned that Apple footed the lion's share of the bill, equating to some $2.6 billion. While the Rockstar consortium has leveraged key patents in litigation against Google and Samsung, other properties have slowly been making their way to Apple. Such is the case of the '034 patent. Those who owned personal answering machines either at home or at the office may remember screening calls by letting the machine pick up, then listening in on the message. If the call was urgent or worth taking, the recipient could simply pick up the phone and answer, automatically shutting off the recording. 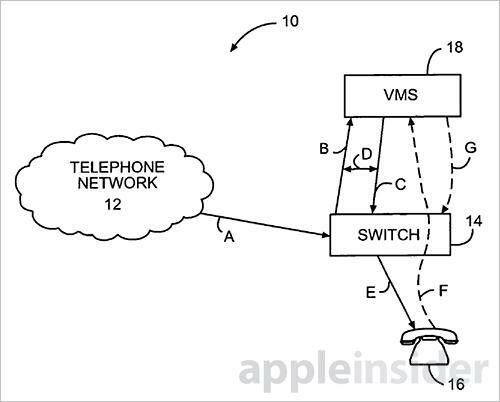 As Apple's new patent deals with hosted voicemail services, which are ostensibly off-site and in some ways similar to those provided by cellular operators. As described in the document, incoming calls intended for a user's telephone terminal can be routed to a hosted voicemail system if a user does not answer. As a caller is leaving the message, a conference call connection is established between the incoming call, voicemail system and user, thus allowing a user to listen in on the message in real time. Alternatively, the incoming call may immediately be sent to voicemail, but the same connection between caller, voicemail and user is established. In all embodiments, the system revolves around a switch that controls incoming calls, bounces them off to the voicemail service and manages passive screening. When a call is received at the switch, it may be sent to a user's phone or directly to voicemail depending on predefined preferences. If passive screening is enabled, the switch will hand off the call to the voicemail service, then establish a connection with the user's phone. On the receiving end, a user's phone may only open a speaker channel for monitoring purposes, leaving the microphone disabled or muted. Although not mentioned in the patent, when applied to the iPhone, this facet of the invention can be controlled on the hardware end. Illustration of an ideal telephony switch and screening system according to one embodiment of the invention. The user may decide to let the caller finish their message without interrupting, or they can pick up by initiating a bi-directional connection, activating both the speaker and microphone. According to the patent, an in-band or out-of-band signal carries the instructions to the switch. The basic structure of the system is based on older telephone technology, though the patent does note that the invention is applicable in wireless environments. 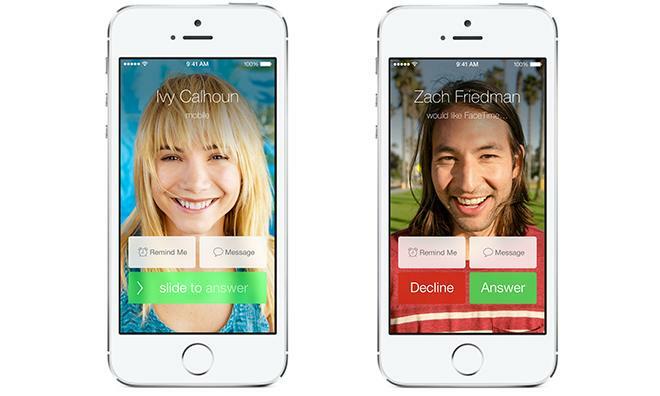 In theory, the idea can be translated to modern cell networks and even telephony services like FaceTime Audio. Apple's passive voicemail screening patent was first filed for in 2003 and credits Samuel H. Christie as its inventor.